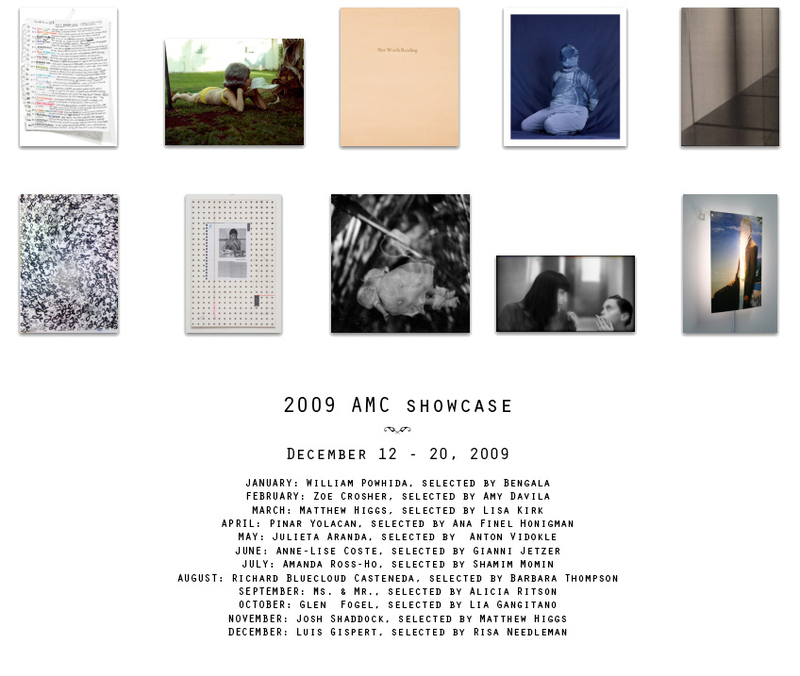 INVISIBLE-EXPORTS is pleased to present the 2009 Artist of the Month Club (AMC) showcase. Chance often looks like inspired order in retrospect and this year’s inaugural Artist of the Month Club collection reminds us that sometimes the best way to encounter new art is simply to submit to it. The AMC is a unique editions project that works like a subscription. Each month for one year, a different curator selects an artist to create a work of art exclusive to AMC. Artists ranged from the emerging to the established, encompassing a wide span of media, including photographs, prints, video stills, unique collages, letter-press and light installations—a striking variety that gives testimony to the diversity of new work being made today. 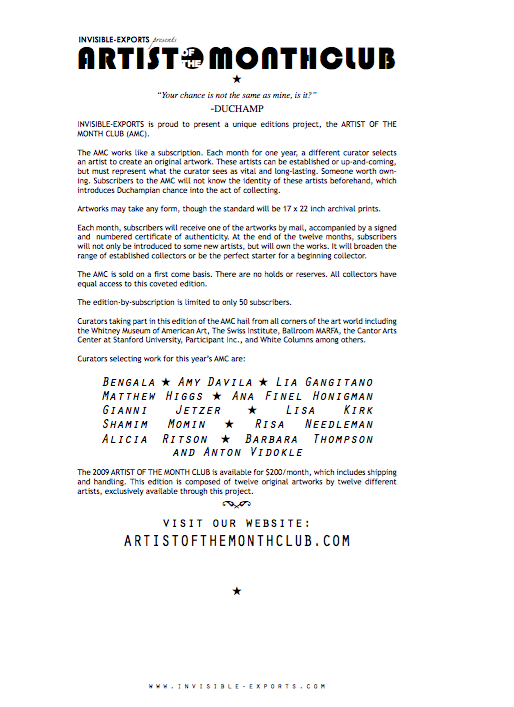 This mini-exhibition presents all twelve artworks from the project for the first time together.